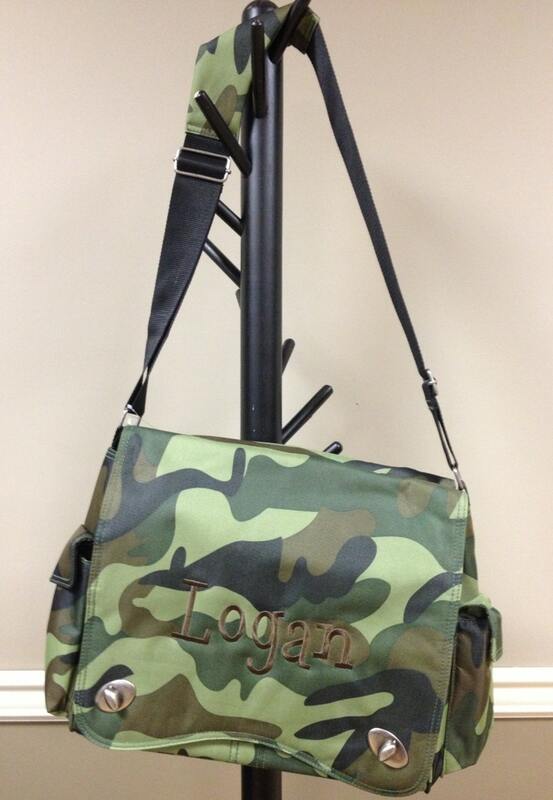 Our latest diaper bag is in CAMO! 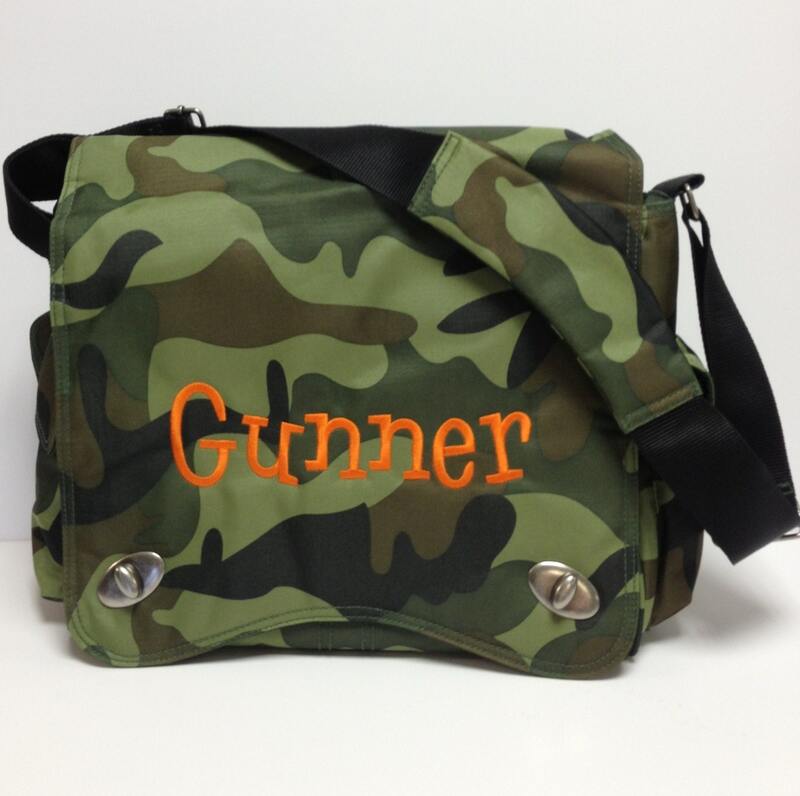 Perfect for little boys (monogram in orange or brown) OR little girls (monogram in pink!)! 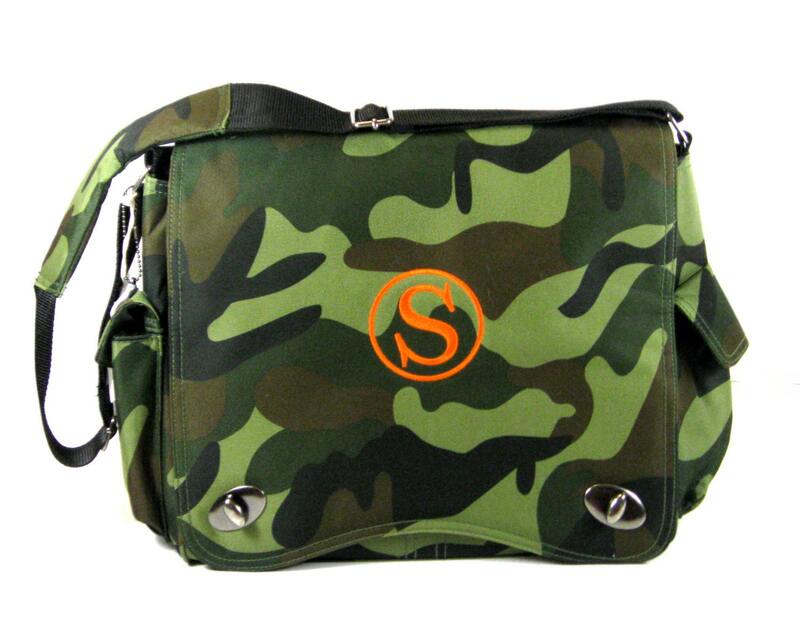 This is one diaper bag that Dad won't mind carrying! The quality is excellant!! 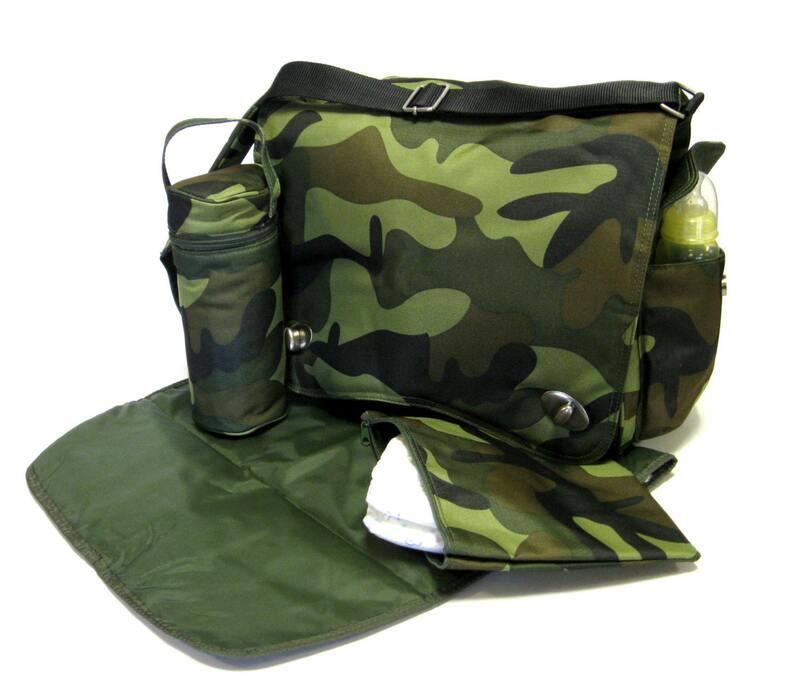 --Roomy interior with 3 pockets and 2 elastic bottle loops. The MONOGRAM IS INCLUDED so be sure to let me know how you'd like it personalized by leaving at note at check-out or via convo.